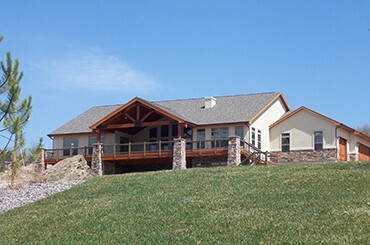 At DeYoung Brothers Construction, we focus on building high quality custom homes of all shapes and sizes in Colorado that meet the needs and desires of our clients. Creating the home of your dreams is our number one goal whenever we are commissioned to build a custom home. We work with our clients from start to finish, from creating the custom home layout and design, down to the smallest detail by working very closely with you throughout the building process. We take deep pride in every custom home that we are commissioned to do for our clients. We work with only the most qualified and trustworthy craftsmen and materials for every project so that our clients can be confident that your Custom Home will have the high quality craftsmanship they expect. We credit much of our success to the loyal relationships we have cultivated with our subcontractors. We take the time to work with each of our clients to ensure that their new home meets their design needs and desires. By having us involved during the design process, you can be assured that we will keep you informed on how your design ideas impact your budget. This will save you valuable time and money and most importantly the custom home that you have always wanted. We realize that deciding to start a custom home project is a large investment for our clients and for that reason we work closely with you to make sure we have a clear understanding as to what your ideas and expectations are. From the beginning, we consult with our clients project goals, then develop a plan of action and a project timeline to so ensure the project goes smoothly from start to finish. We credit much of our success to the loyal relationships we have cultivated with our subcontractors. We work with only the most qualified and trustworthy craftsmen on each project, resulting in consistently excellent work. Contact us at (303) 829-3374 or Click Here to email us to schedule a time to meet so we can discuss your custom home needs. When we meet we will go over the entire process of building your custom home, from site selection to design and then the building of your new home. We will develop a plan of action and a project timeline to so ensure the project goes smoothly from start to finish. Let’s start building the home of your dreams today!